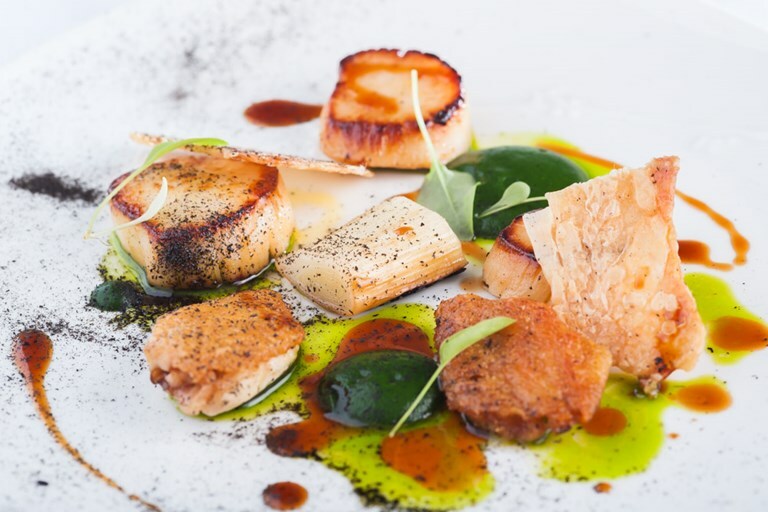 With succulent scallops always a favourite, Matt Worswick pairs with them the crunch of crispy chicken and the mild sweetness of leek. A recipe with a lot of technical processes, the end result is well worth the time. Heat a non-stick pan over a high heat, season the scallops and cook until golden brown, turn over and cook for 1 minute on the bottom.